Britain’s home have in the region of 106.4m outstanding maintenance problems around the house, ranging from dripping taps, poor decoration and mouldy walls. New research from Which? shows that sticking door and locks are the most common property issue. A faulty lock is more often caused by poor fitting or movement of the door or frame, it is unlikely that a fairly new lock will become faulty. Wooden doors are prone to movement and swelling with weather conditions, water can be drawn into a door or frame causing the wood to expand and swell. Movement and expansion of doors can cause the door to become sticky and will often move the lock case and keep out of alignment and thus making the lock harder to operate or in some extreme cases not able to move at all. Often the best cure is to wait for the swelling in the door to subside, to speed up this process a fan heater could be directed towards the door. Other common issues with door locks are caused by general wear and tear, the metal on metal action of key onto lock makes for high wear rates on both the key and lock, but more on the softer metal that keys are made from. 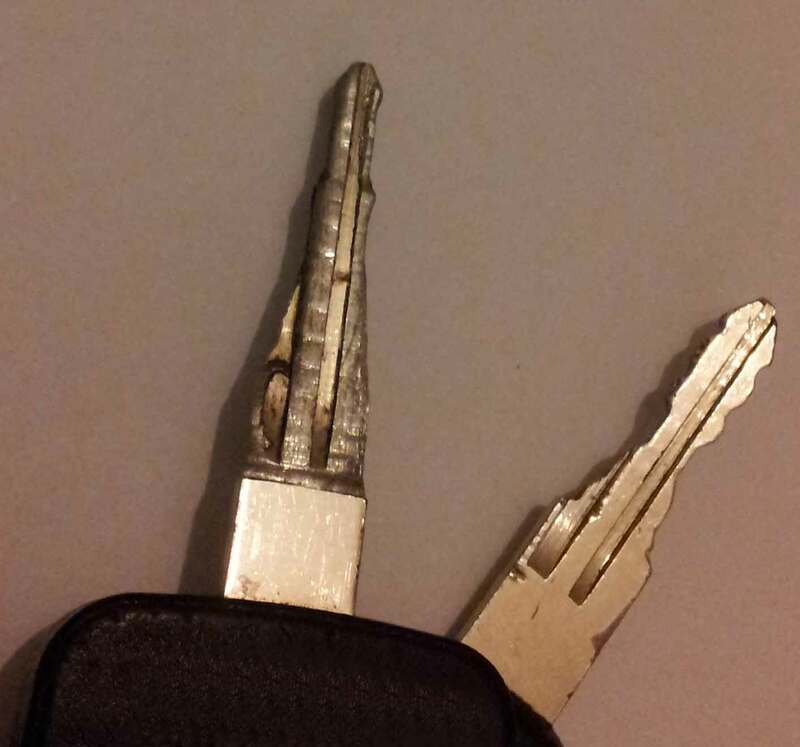 Most locks are supplied with three keys, a good practice is to keep one of the keys as a spare, then get new keys cut from this spare every year and discard the older worn keys. Lock lubrication is essential to keep your locks in working order and to maintain good levels of security. Special lock lubrication has been developed by ABUS and Silca which are graphite based. These powder lubricants place a thin layer of graphite powder onto the lock, powder is used rather more traditional liquid lubricants as these become sticky and attract dirt and grime over time. If you have any door that are not closing or locking as they should do, do not hesitate to call the sales team at locktrader, we would be most happy to assist.